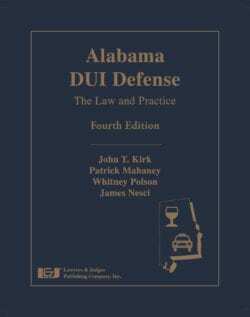 Question: What sets Polson & Polson apart from other DUI firms in Alabama? Answer: Polson & Polson is founded on experience, education and focus. We are a statewide DUI defense law firm. We have over 50 years of cumulative experience between our senior partner, Mark Polson, and our junior partner, Whitney Polson. We handle hundreds and hundreds of DUI cases every year from the gulf coast of our state all the way to the Tennessee line. 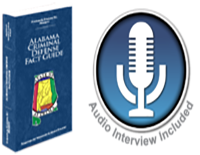 In terms of education, we are members of the National College of DUI Defense, founding members of the DUI Defense Lawyers Association, members of the Alabama Defense Lawyers Association and the National Association of Criminal Defense Lawyers. We attend national seminars focused exclusively on training for DUI defense lawyers and we teach at local seminars throughout the state. We’re focused only on the practice of defending DUI cases. Our practice is narrowed to only defend those accused in our state of DUIs. We’re able to stay up-to-date on the training the police receive so in court we’re ahead of the game and able to defend the case aggressively and to stay up with the current laws and defenses in the area of DUI.